KABER is able to produce complex Void Forms or what is sometimes referred to as "sacrificial void forms", "lost formwork", "polystyrene block-outs" or "Void formers". 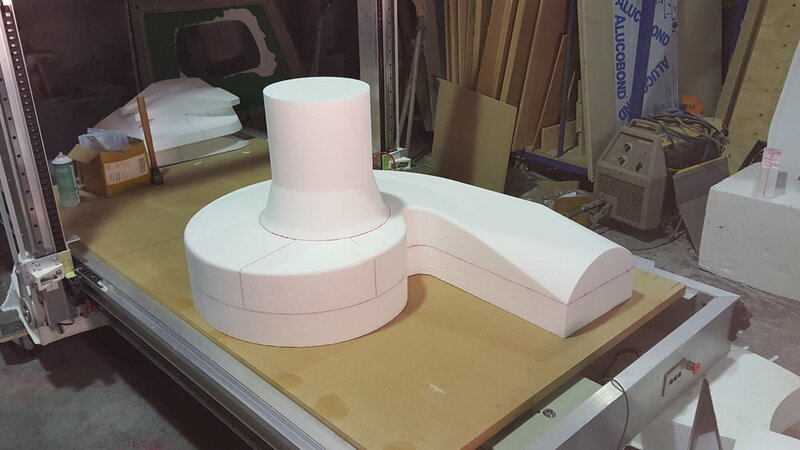 We are experts in Polystyrene CNC. 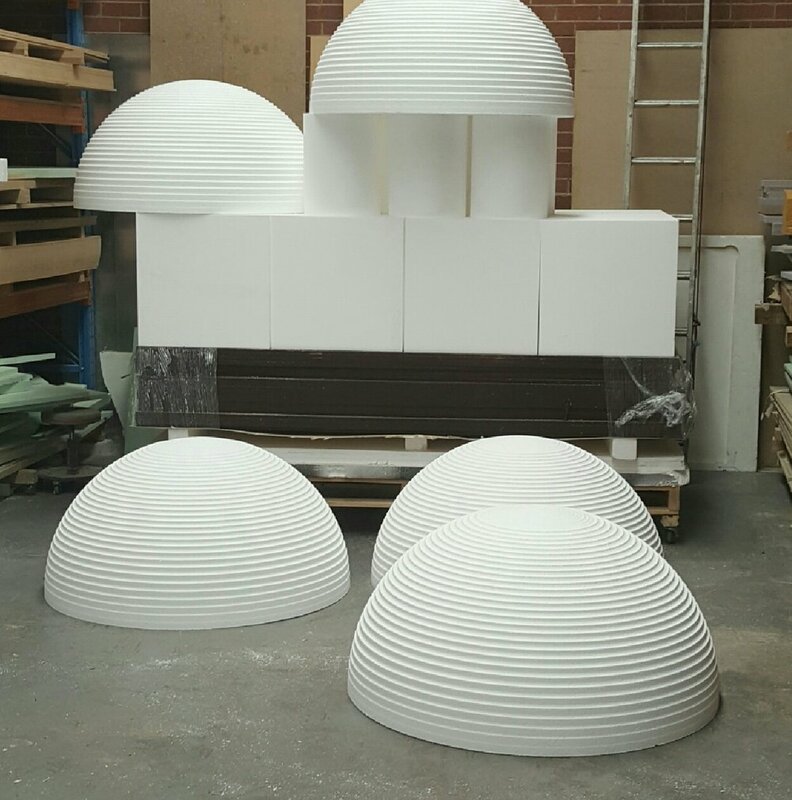 These are machined from polystyrene foam and used in the construction industry to create voids in concrete in virtually any shape. Below are examples of large scale forms used in the architectural, civil and artistic industries. Polystyrene formwork can be used to create custom slab edging on commercial concrete structures.